French philanthropist of the second half of the eleventh century; one of the most prominent Jews of Narbonne, who devoted his time and fortune to that community. It seems that he was also in favor with the government, being thus enabled to check unfavorable measures against the Jews. 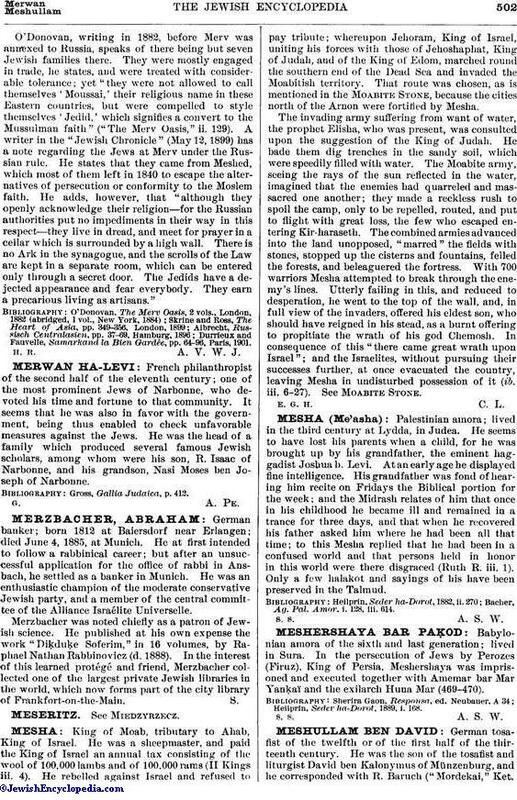 He was the head of a family which produced several famous Jewish scholars, among whom were his son, R. Isaac of Narbonne, and his grandson, Nasi Moses ben Joseph of Narbonne. Gross, Gallia Judaica, p. 412.